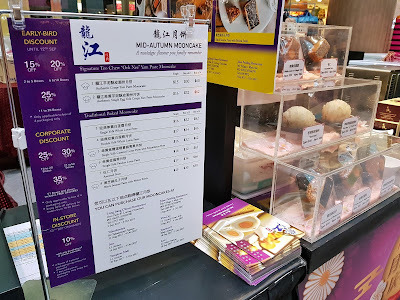 What is Mid-Autumn Festival without mooncakes? 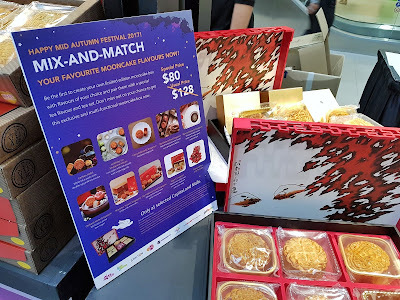 There are so many different types of mooncakes in every conceivable flavour and even designs these days, that it is difficult to make up my mind on what I want, let alone what to get for friends and family. But come 18 Sept - 03 Oct, Bishan Junction 8 will be holding its Mid-Autumn Fair where over 20 different bakeries, hotels and restaurants will be showcasing the best of their mooncake creations! Prickly Pear with Bergamot Snowskin Mooncake 冰皮仙人掌果佛手柑 - A stunning new entry decked in a delightful hue of blush pink, this creation is made with the fruit of the cactus plant – also known as prickly pear. A fascinating ingredient that is purported to be very healthful, it lends a juicy texture and mellow sweetness to the confection. The use of bergamot yields a citrusy top note while diced pears add crunch to the filling mix. Apple Cider Snowskin Mooncake 冰皮苹果酒 - A tribute to the fizzy favourite, this deep pink-coloured mooncake boasts a refreshing flavour that is a balance of sweet and tangy. Dotted with diced apples, this mildly-alcoholic creation is perfect to liven up the afternoon and best enjoyed with the same drink! 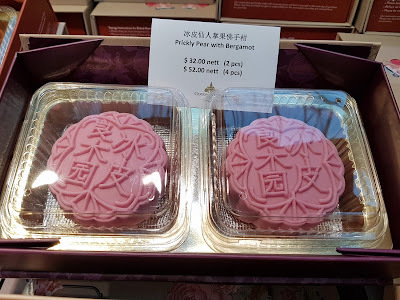 Root Beer Snowskin Mooncake 冰皮根汁水. 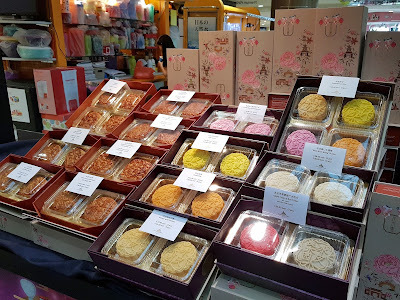 A taste of nostalgia for some, this crowd-pleaser of a beverage has now morphed into a cream-coloured mooncake. Using root beer as a base, this version is given an added boost of flavours with vanilla beans and a tinge of rum. Singapore Pandan with dried cherries and pistachio mooncakes Inspired by Singapore’s national cake, Cherry Garden introduces the pandan with dried cherries and pistachio mooncakes, a perfect pairing of the aromatic pandanus palm and smooth lotus paste, studded with sweet dried cherries and crunchy pistachio bits for a luscious finish. Restaurant Long Jiang’s Signature Teochew ‘Orh-Nee’ Mooncakes Our trademark Teochew ‘Orh-Nee’ mooncake have come a long way since its humble beginnings in 1988. Savoured by the young and old alike, each bite is reminiscent of your childhood, with a lingering aftertaste that assures you’ll be asking for more. Keeping to tradition, Long Jiang continues to be committed in delivering only the true Singaporean flavours without compromising on top-notch quality. 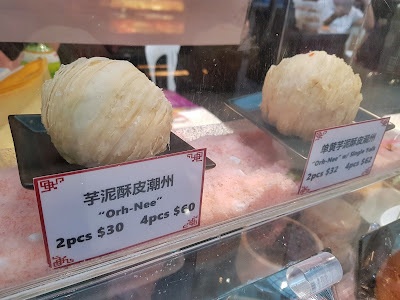 Every ‘Orh-Nee’ mooncake is set to charm you with an exquisite sweetness that beguiles your palate. 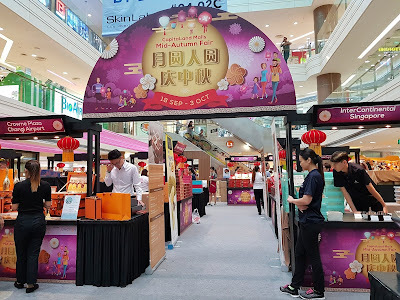 The unison of the dense sikly yam paste, and the flaky puff pastry is baked to a gorgeous creamy brown, makes each mooncake a pleasant trove of flavours. Snow-skin Top Grade Black Gold Mao Shan Wang Durian Mooncake The push to continually create new tastes for our customers saw the launch of its 100% pure Durian Mooncake in 2002. 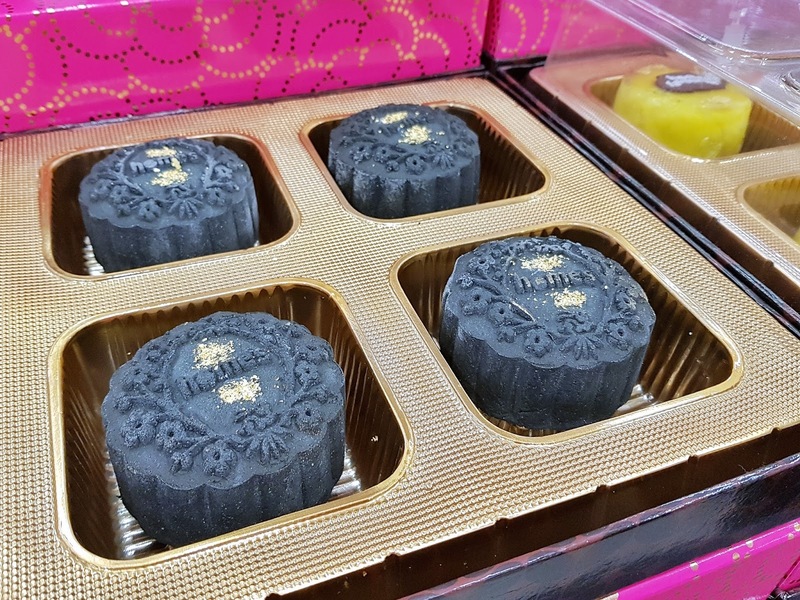 It proved an instant hit and in 2007, they introduced the first ever Black Durian Mooncake. 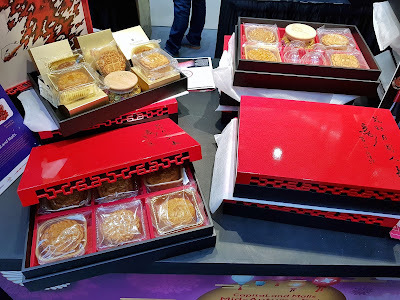 This scrumptious mooncake so lusciously good they even picked up a few awards overseas! Today, Home's Favourite is synonymous with top quality durian mooncakes and a delectable range of tarts, cookies, mooncakes and desserts. 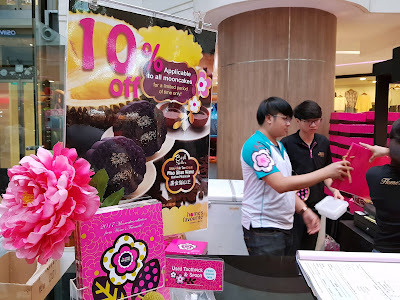 The mooncakes are going for 20% off from 18 - 20 Sept for the launch f the fair! Enjoy up to 25% off selected brands at the fair! 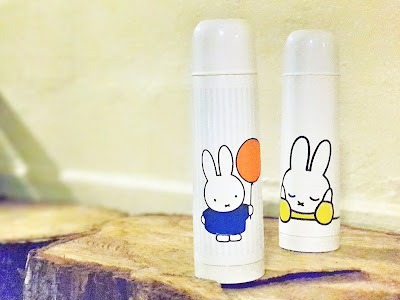 Special price of $80 (U.P. 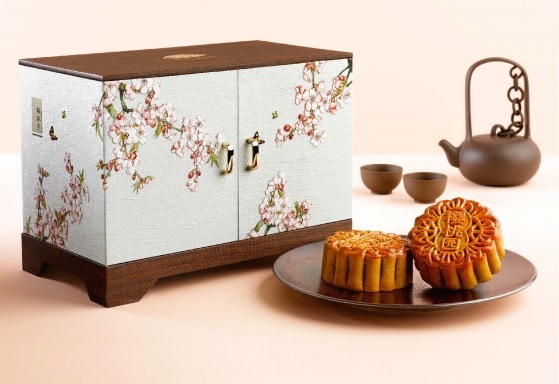 $128) a special gift set consisting of 4 mooncakes, rose tea and tea cups. Mix and match selected flavours from any of 9 hotel brands: Carlton Hotel Singapore, Holiday Inn® Singapore Atrium, Intercontinental Singapore, Mandarin Orchard Singapore, Marina Mandarin Singapore, Orchard Hotel Singapore, Regent Singapore, Sheraton Towers Singapore and The Fullerton Hotel Singapore. 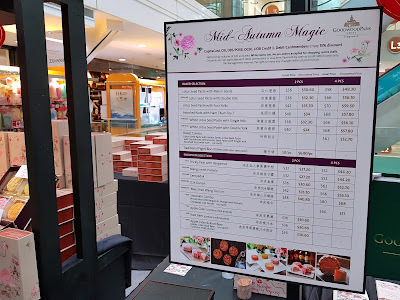 You can even opt not to take the rose tea or teacups and get it as a set of 5 or 6 mooncakes! 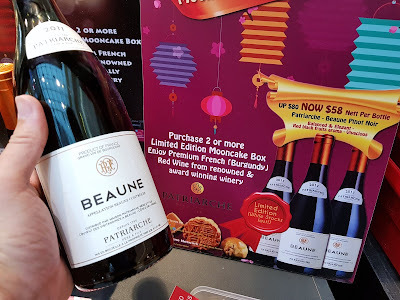 If you buy two boxes of this special gift set, you can also purchase red wine at a special price. 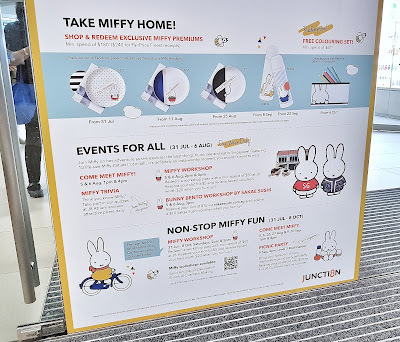 The Miffy promotion is still on-going and you are still in time to collect the beautiful Miffy tumblers! Get one free with every $180 purchase so check here for more information! Are commuters in Singapore really that terrible?